If your property suffers from leaks, call our water damage Melville team with 911 Restoration Long Island so we can provide you with an affordable price on water removal before the situation gets worse. Water damage ruins houses and our water damage Melville crew uses the latest drying technology to resurrect those homes. Living near New York City, your home should be your safe haven from the hustle and bustle that is involved in your daily commute. Coming home to a pipe burst or toilet overflow can be devastating. We have years of experience helping the community with water damage restoration services and working with all insurance companies. Our water damage Melville team works hard to remove the stress and moisture from such emergencies. 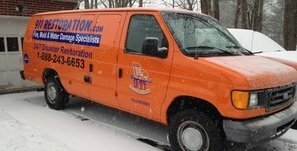 Call our water damage Melville team with 911 Restoration Long Island for water extractions relief after water invasion incident, and we will be there in not time to eliminate it for you today! Call our water damage Melville professionals if you have a flooding emergency and we will respond within 45 minutes to start pumping water off your carpets and out of your crawl space. Floods can ruin everything – your furniture, your hardwood floors and your prized possessions. 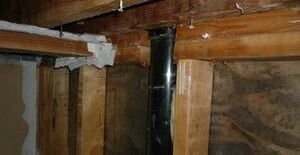 We promise to deliver same day service and we offer a free inspection to find mold. The fungus can grow in as little as 24 hours after leaks, so this is a vital part of our policies and practices. We can tell you how to use sump pumps to prevent water from invading your building. 911 Restoration Melville will always put the customer first. We act fast and we are licensed, insured, bonded to recover your property and make it as good as new. We will even help you file your insurance claim. Call our water damage Melville team with 911 Restoration Long Island for help with your insurance paperwork that covers water damage and water extractions that return your home to perfection today! Homeowner’s insurance covers water damage Melville services as long as you protect your home from floods, by having a flood insurance rider on your policy. You can make sure your home is protected by checking your plumbing, installing a sewage back flow valve, and cleaning your rain gutters. The first two procedures prevent events such as toilet overflow or plumbing leaks, while the latter reinforces your roof and foundation against storms. These are important steps because according to the Insurance Information Institute, water damage is one of the most frequent reasons for insurance loss. These steps can prevent such damage, and ,, if the disasters do occur, your insurance will cover the repair costs. If the floods originated outdoors, you will need a separate flood insurance policy tin order to protect your finances. Luckily, our water damage Melville professionals offer an affordable price on all disaster restoration services. If your property does sustain floods call our water damage Melville team with 911 Restoration Long Island for help from the best water damage restoration company.